We had a little bit of snow headed our way this week. I headed to the State Botanical Garden of Georgia to shoot. 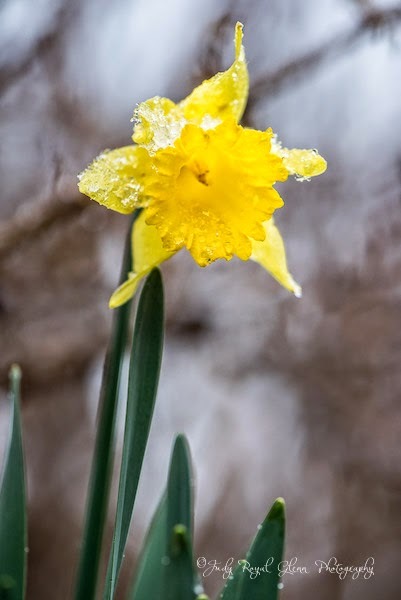 I had to use a stick to help photograph this daffodil because it was drooping from the snow. 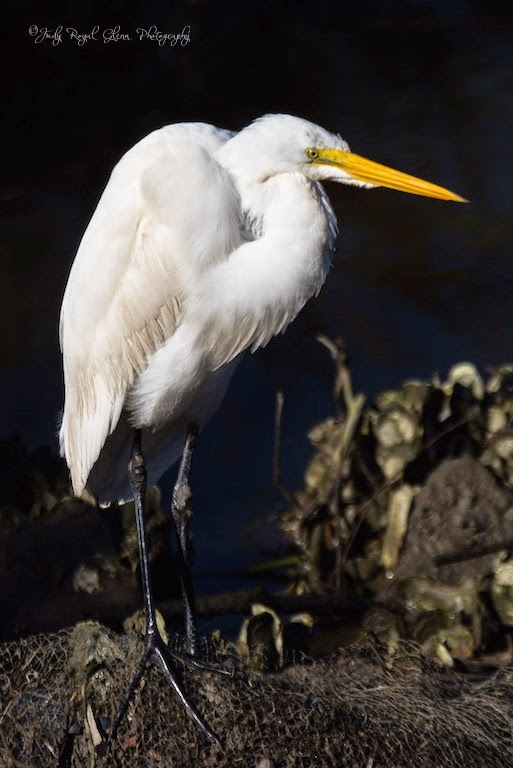 I found this egret on St. Simons Island, Georgia. It was around 3 o'clock, so the sun was harsh. I knew the feathers of the egret would be blown out if I was not careful. I had to change my exposure compensation greatly. The background is really dark, but the egret is exposed properly. I typically try not to put my subject in the center of the frame and adhere to the rule of thirds, but I felt the trees provided a perfect frame for my chicadee. I took this photograph yesterday after Athens received a little bit of ice. 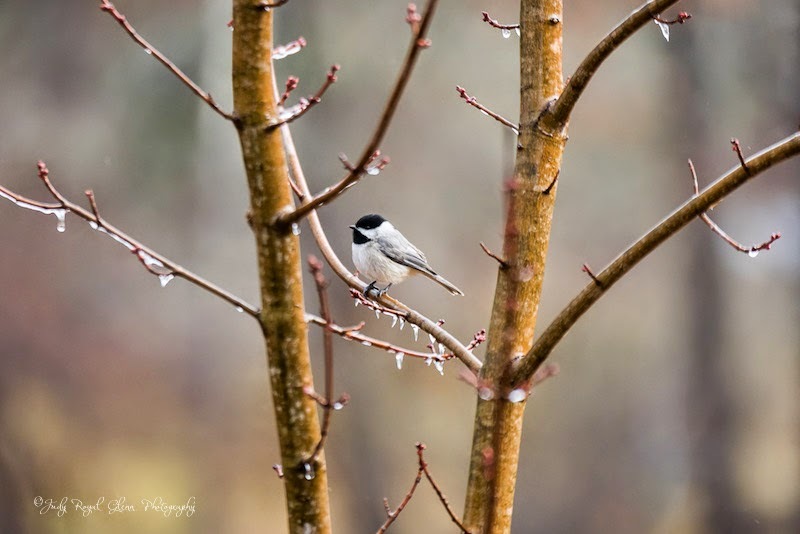 I would have loved to photograph the birds in the snow, but I will take what I can get! 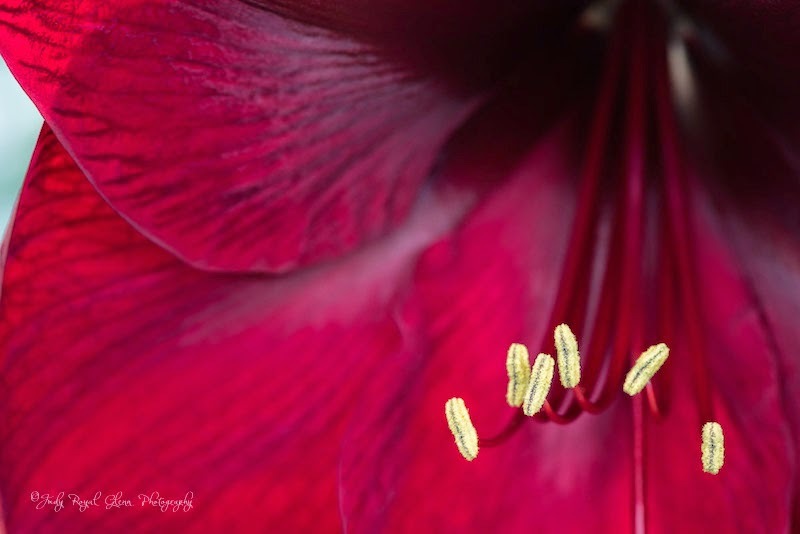 The Amaryllis is known as the Christmas flower and is used for decorations during the holidays. I read several neat facts about them. They are the longest-lasting winter cut flower and one website stated they have replaced the poinsettias as Britain's favorite Christmas plant. The can still be seen in the Conservatorium at the State Botanical Garden of Georgia:) Aren't they gorgeous? I have been wanting to photograph a furled fiddlehead for a while now—I just did not know what they were called. I knew it was a curled fern leaf, but after doing a little research, I found they were called fiddleheads. 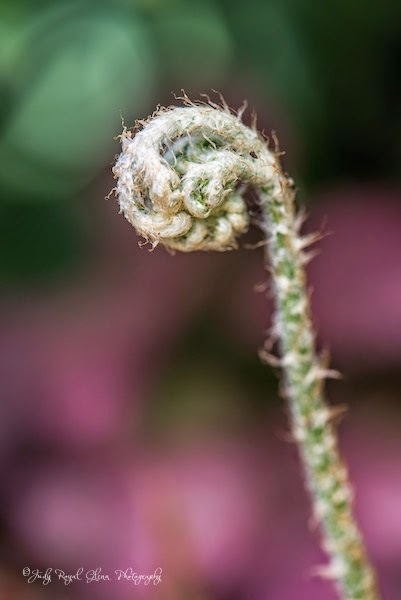 More interesting is the fiddlehead got its name from the ferns resemblance to the curled end of a stringed musical instrument like a violin or fiddle. The fiddleheads are also cooked then eaten. I read they high in vitamin A and C, are very nutritious, and also have powerful anti-inflammatory and hormone-regulating abilities. There are also negative aspect to eating certain types of fiddleheads —cancer being one, and they have also "been linked to a number of food-borne illnesses in both the US and Canada." You can read the article if you would like. For me, it won't be bon appétit! I was really excited to photograph a lot of hooded mergansers two weekends ago on St. Simons Island, Georgia. I saw several two days after Christmas, but I did not get any real good shots. This time, I saw around 19. 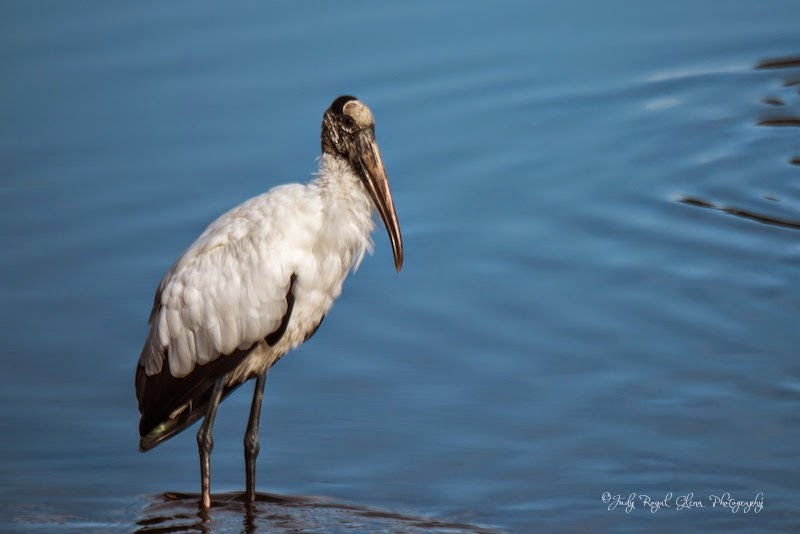 There were four adult males, about eight immature males, and about seven females. At first I thought there were mainly females, but I was wrong. The immature males look a lot like the females. 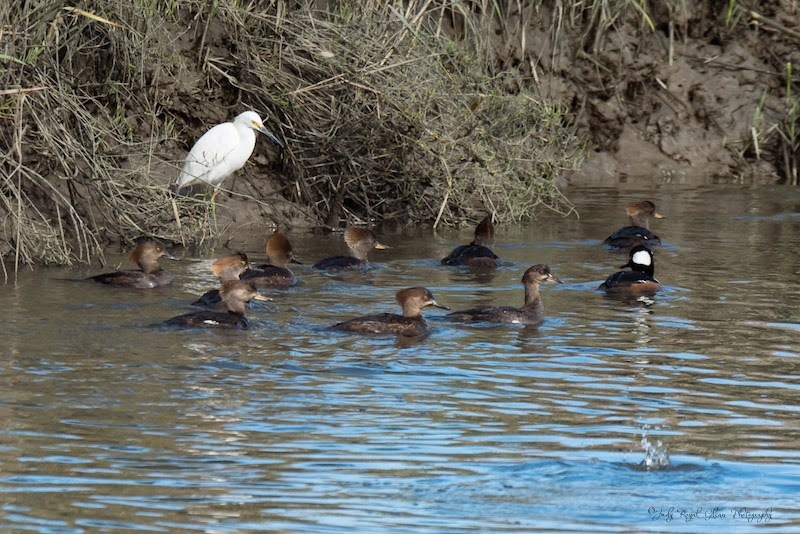 The immature males have the same brown coloring as the females, but the immature males have a thin black beak and yellow eyes and the females have dark eyes and a slender yellow bill. Note the splash on water in the right corner. They love to dive for crayfish, fish, and other types of food. I am excited to be able to sell my orchid prints in the State Botanical Garden of Georgia's gift shop for the Orchid Madness event that will be held on Saturday. 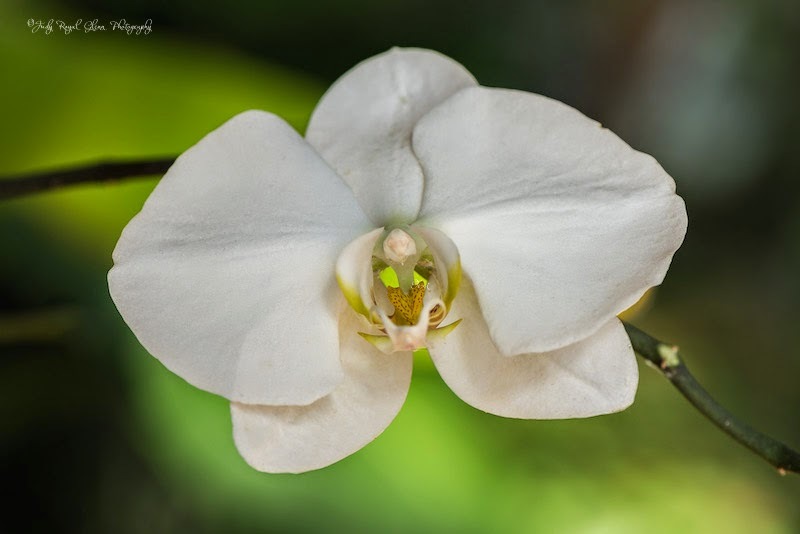 My photograph of an orchid was recently used by the Garden on their posters, postcards, and online media. Other photographs I have taken in the Garden will be available shortly.....especially the hummingbird photographs!